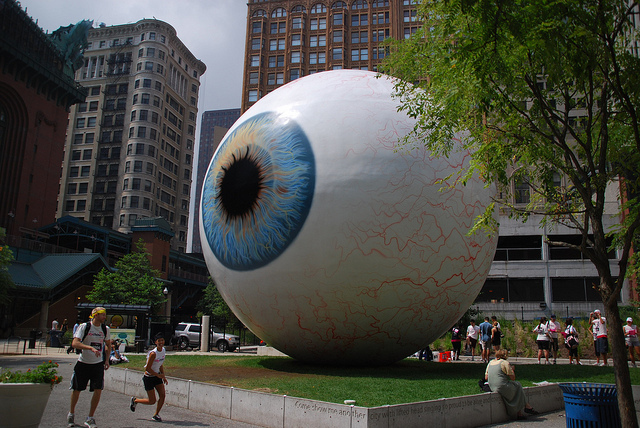 EYE is a 30-foot-tall, three-dimensional recreation of an eyeball, with a blue iris (similar to the artist's). The massive spherical sculpture, of steel reinforced fiberglass, was fabricated by F.A.S.T. Corp. of Sparta, Wisconsin.